Through popular vote, Lost in the Triangle [LITT] has won two 2018 Restaurant Weeks People’s Choice Awards – one for lunch and one for dinner. LITT is the first restaurant to win both People’s Choice Awards in the same year; LITT also won the 2017 Restaurant Weeks People’s Choice Award for lunch. 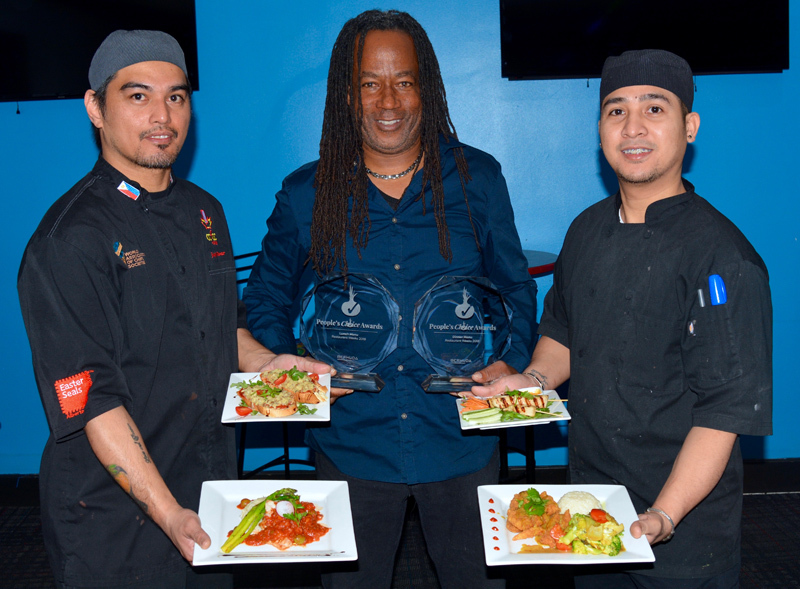 Lunch was added to Bermuda Restaurant Weeks for the first time in 2017 and the People’s Choice Award has been a feature since 2015. “The objective for introducing a People’s Choice Award has always been about incentivizing and rewarding Bermuda inspiration and storytelling in the culinary experience,” said Pat Phillip-Fairn, chief product and experiences development officer at the Bermuda Tourism Authority. “It’s fitting Lost in the Triangle would come out on top as locally caught Bermuda fish is what the restaurant and its owner Delvin Bean are best known for. LITT is a City of Hamilton restaurant on Reid Street. It specializes in seafood as its owner Delvin Bean is a commercial fisherman. He offers a sea to table experience where visitors can go fishing by day, and by night, have what they caught prepared for their dinner by the team at his restaurant. Bermuda Restaurant Weeks 2018 had 53 participating restaurants, which was the most ever. It took place January 11th to February 4th, 2018. Congratulations to all involved… it really is good to be Lost In The Triangle!